平成２９年８月２４日（木）から９月５日（火）の約２週間、マレーシアプトラ大学（UPM）の学生１４名が本学を訪問し、夏季の短期受入れプログラムに参加しました。学習教育センターグローバルラーニング支援部門がプログラムのコーディネートを実施しました。 14 students from Universiti Putra Malaysia (UPM) visited Kyutech from August 24th to September 5th, 2017, as a mobility program between Kyutech and UPM. _ 参加学生は、戸畑キャンパスで、画像処理における周波数分析（張力峰准教授）、Webアプリケーション開発（三浦元喜准教授）、熱放射による熱伝導（Laurent Tranchant特任助教）、超伝導体による永久磁石の浮上実験（小田部荘司教授）など、工学の専門講義を英語で受講し、研究室訪問では、レーザーフォーミング(北村貴典准教授)や小型人工衛星(金相均助教)の研究について説明を受け、九工大ならではの学習を体験しました。 Through the program students experienced several classes and laboratory tours by Kyutech professors. 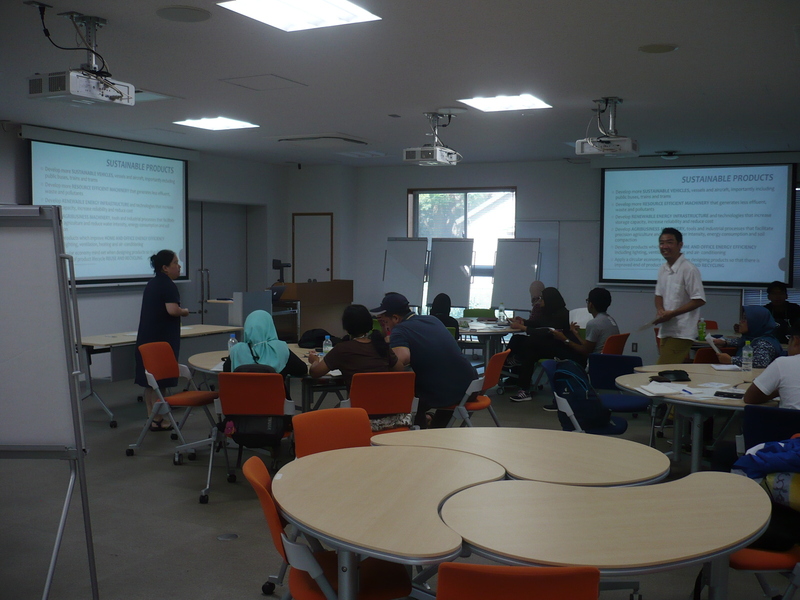 These include a lecture on Frequency Analyzing in the Image Processing by Assoc. 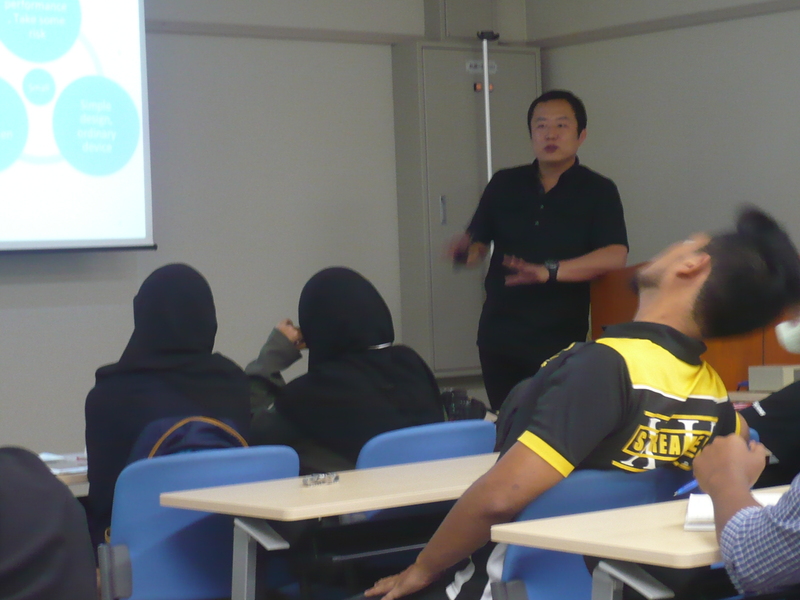 Prof. Zhang (Factulty of Engineering), on Web Application Development by Assoc. 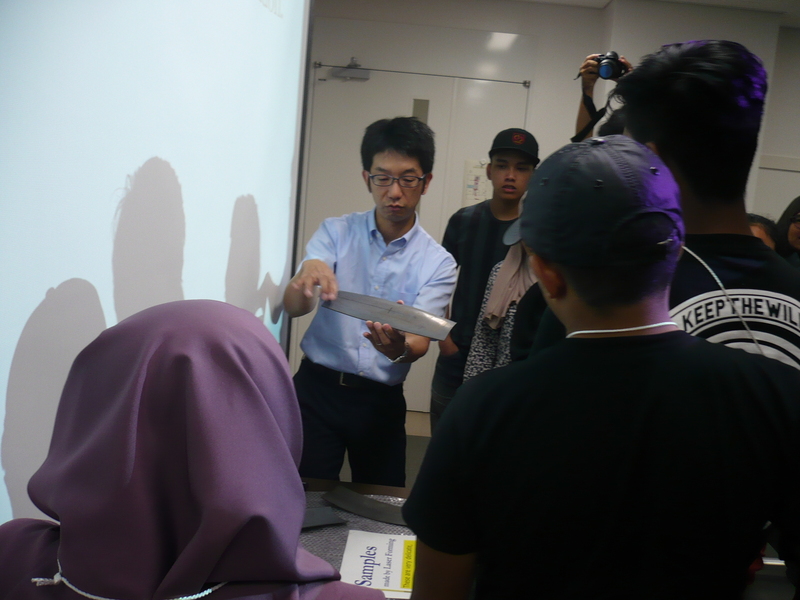 Prof. Miura (Factulty of Engineering), a lecture and an experiment on Superconductivity by Prof. Otabe (Faculty of Computer Science and Systems Engineering), and a lecture on Heat Transfer by Dr. Tranchant (Factulty of Engineering). 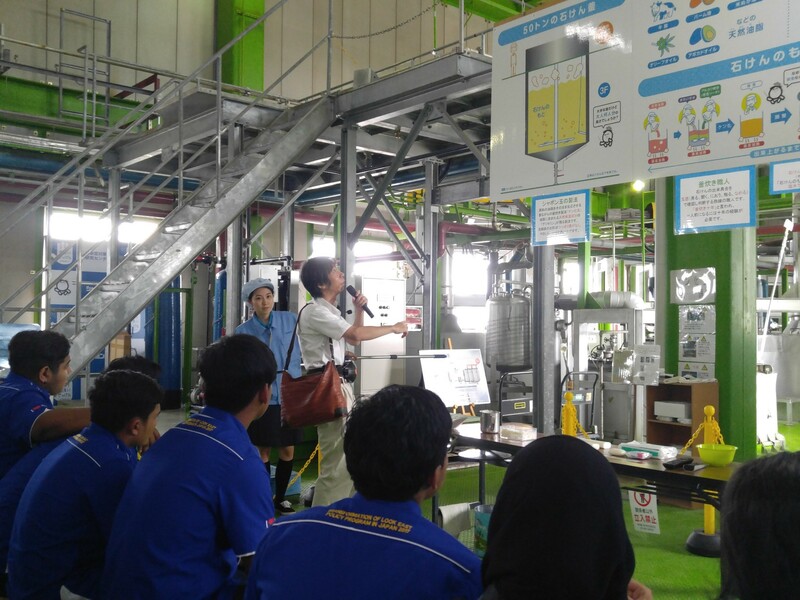 During the laboratory tours, Assoc. 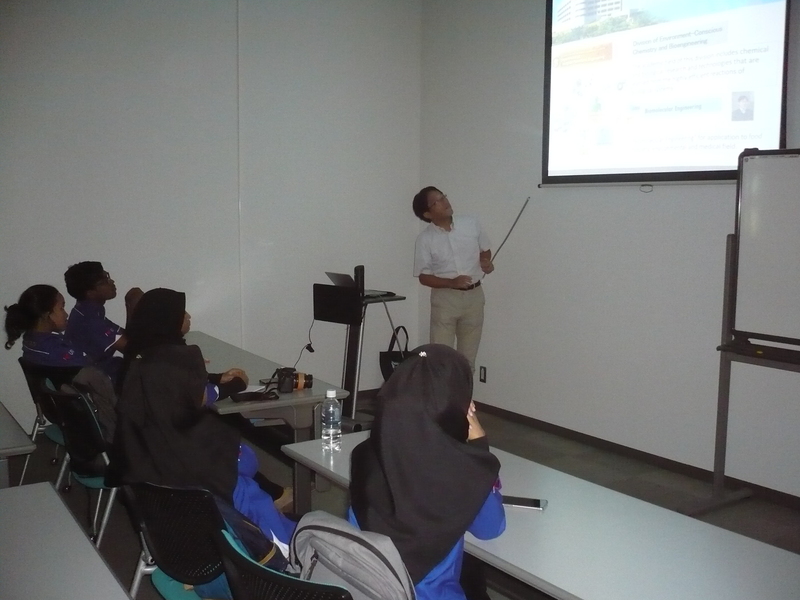 Prof. Kitamura (Factulty of Engineering) held a short lecture on Laser Forming and Assist. Prof. Kim on Small Satellites. また若松キャンパスでも、池野慎也准教授による医療・産業応用のための機能性ペプチドと機能性ナノ粒子に関する講義やラボツアーを体験し、前田憲成准教授の研究室への ラボツアーではUPM出身の留学生に九工大での研究や生活について話を聞くことができ、大学院生とのグループワークにも参加しました。 At Wakamatsu Campus, UPM students attended a lecture on Functional Peptide and Nanoparticles for Medical and Industrial Use and a lab tour by Assoc. 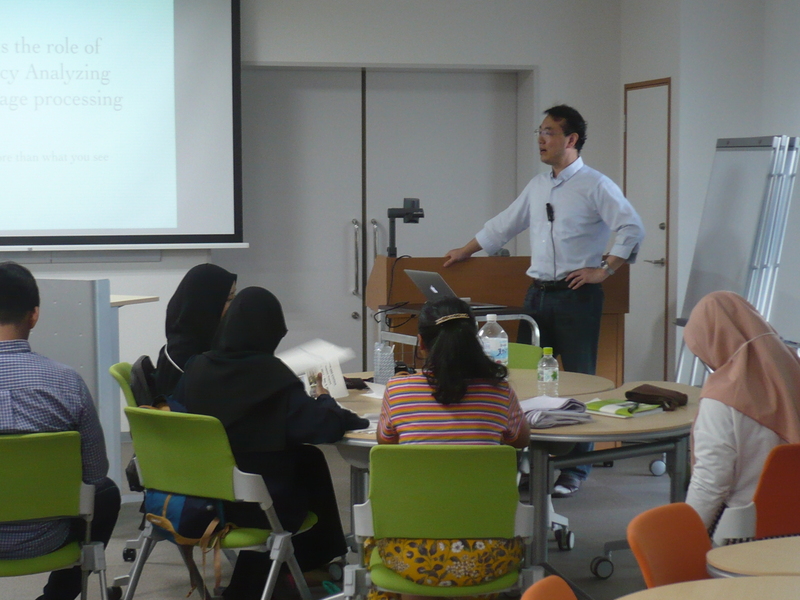 Prof. Ikeno (Graduate School of Life Science and Systems Engineering) as well as a group work with graduate students. 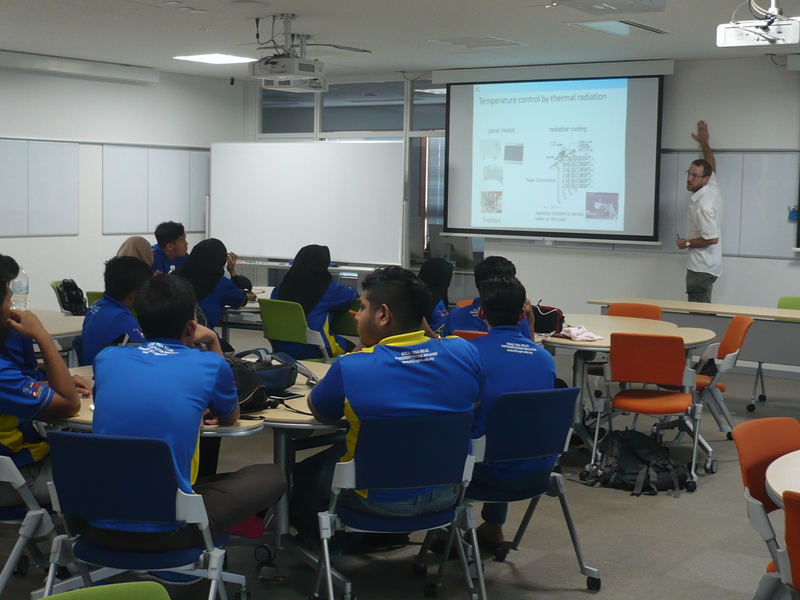 They also had a chance to meet a Malaysian graduate students and ask questions about her study and life at Kyutech. _ さらには学習教育センターによる持続可能な社会についてのワークショプ、学とともに、エコタウン、シャボン玉石けん、日産自動車九州での工場見学を通して、最新技術や環境への配慮について学びました。日本語講座では初歩的な日本語を習い、キャンパスツアー、九工大バディとの小倉・門司散策で、九工大や日本の社会・文化についても知識を深めたようです。 Furthermore, students attended workshops on Sustainability offered by Learning & Teaching Center and visited Eco-town Center, Shabondama Soap Co., Ltd., and Nisssan Motor Kyushu, Inc. to learn about the latest technology and their commitments for environmental protection. 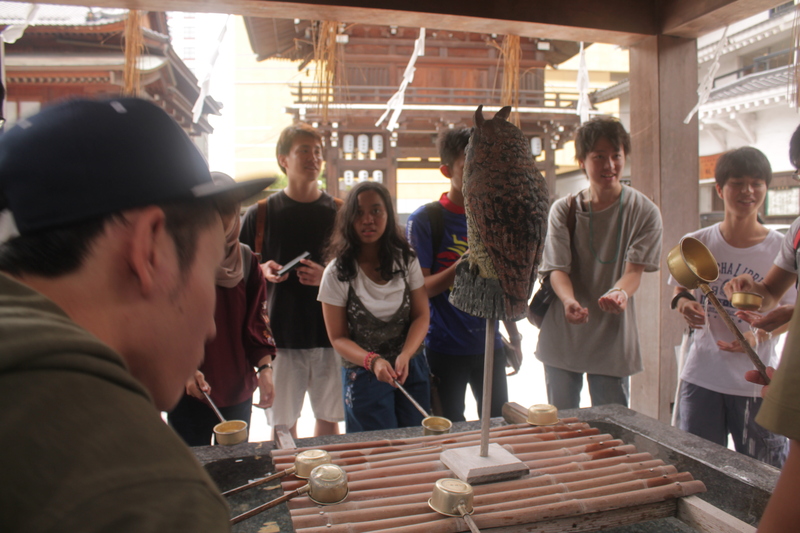 Participants were also able to get to know about Japanese culture and Kyutech through Japanese classes as well as interaction with Japanese buddies.